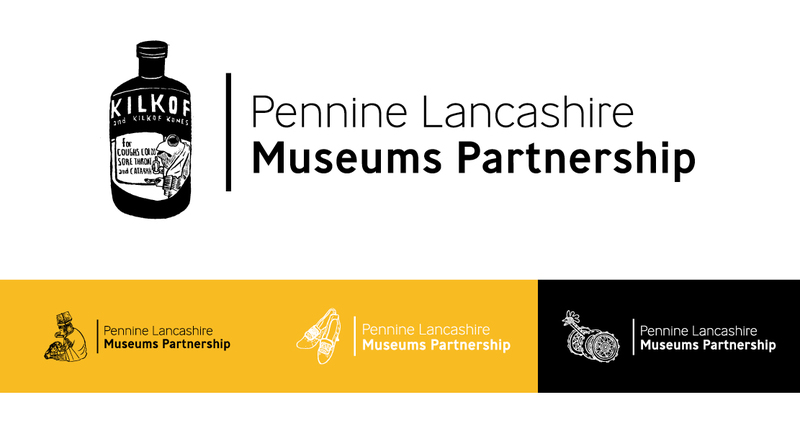 Pennine Lancashire Museums is a collective with the aim to increase visitors by promoting the different venues as one entity, with a much larger and diverse offer for residents and visitors cross-selling. 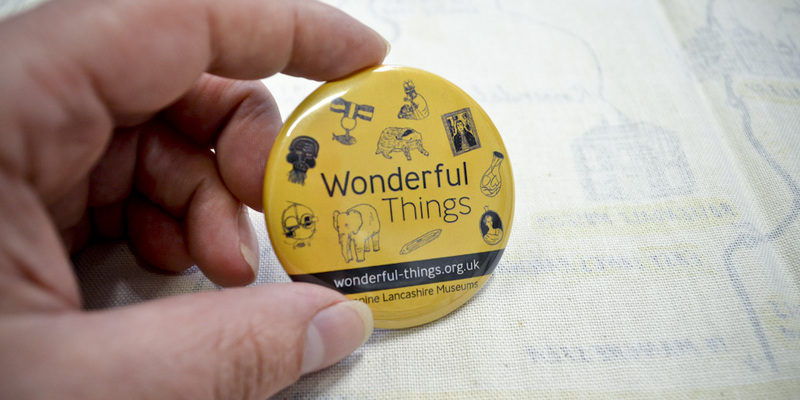 We have been working with the Pennine Lancashire Museums Group since their formation in 2012. The brand style was developed in line with the Cabinets of Curiosity. 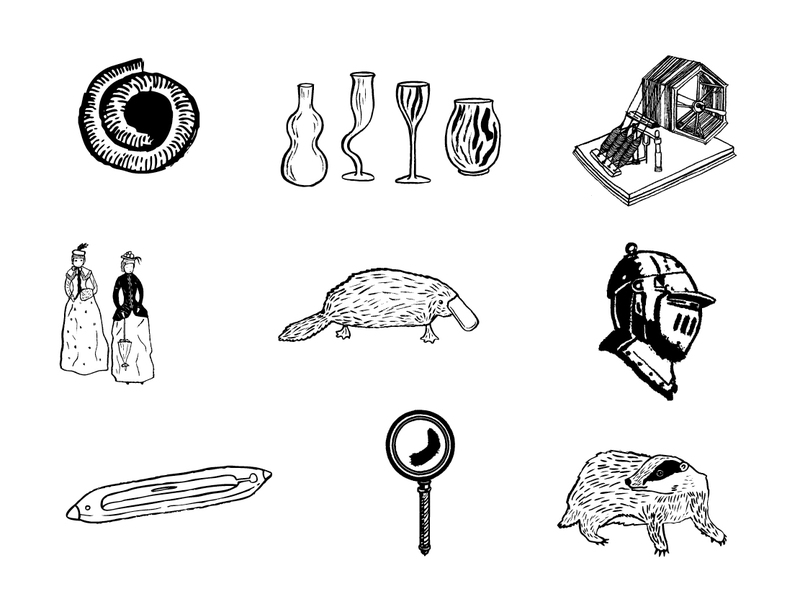 These temporary installations highlighted a few of the more unique and interesting objects in the museums’ vast collections and were developed by Metaphor. 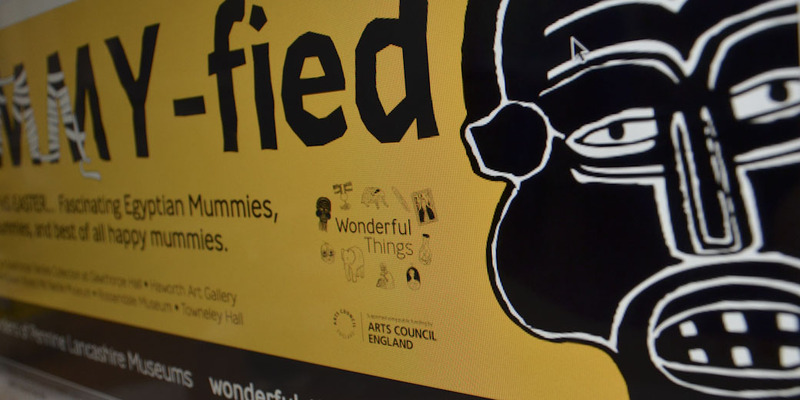 Illustrations by the talented Isabel Greenberg and Alice Patullo, strong typography and a limited colour palette ensured the brand would always stand out and be recognisable in what was already a busy forum. 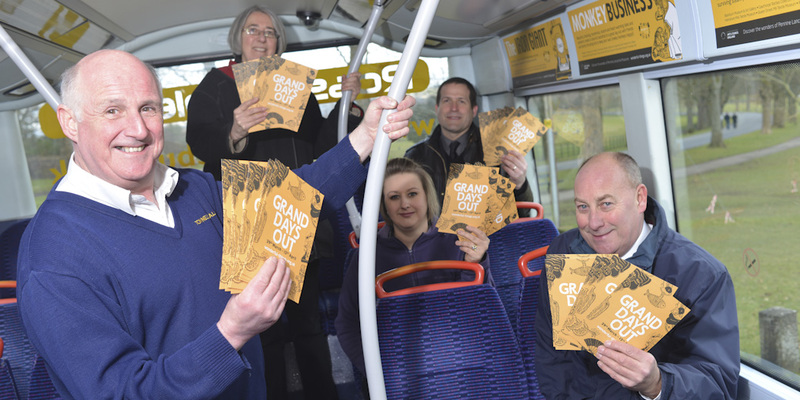 We worked closely with Creativity Works, and the venues to develop and market Wonderful Things in the form of bus sides, rail banners, billboards, give-aways, leaflets, posters as well as web and social media sites. 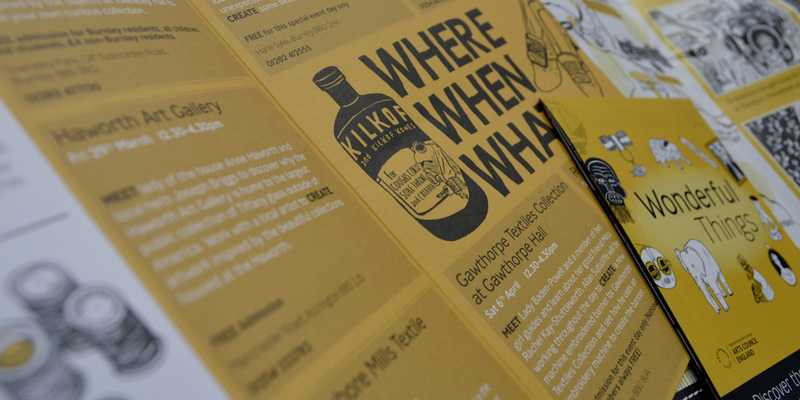 The brand had to be used with existing literature, most of which consisted of DL (third A4) leaflets. 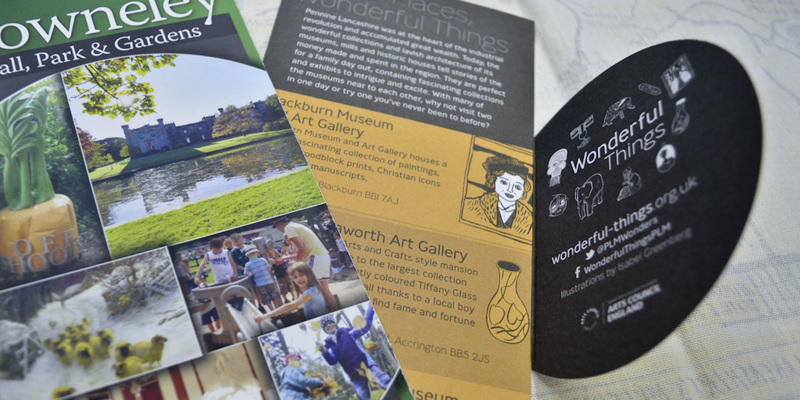 We produced an insert that would wrap around any standard leaflet, without obscuring the individual venue’s branding, to clearly identify it as one of PLM venues. 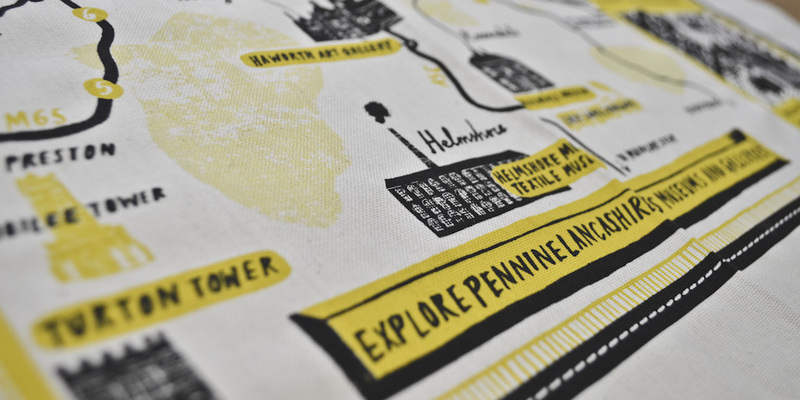 The success of the PLM project was never more evident than when the collections were showcased at London’s Two Temple Place in an exhibition entitled Cotton To Gold – Extraordinary Collections of the Industrial North West. 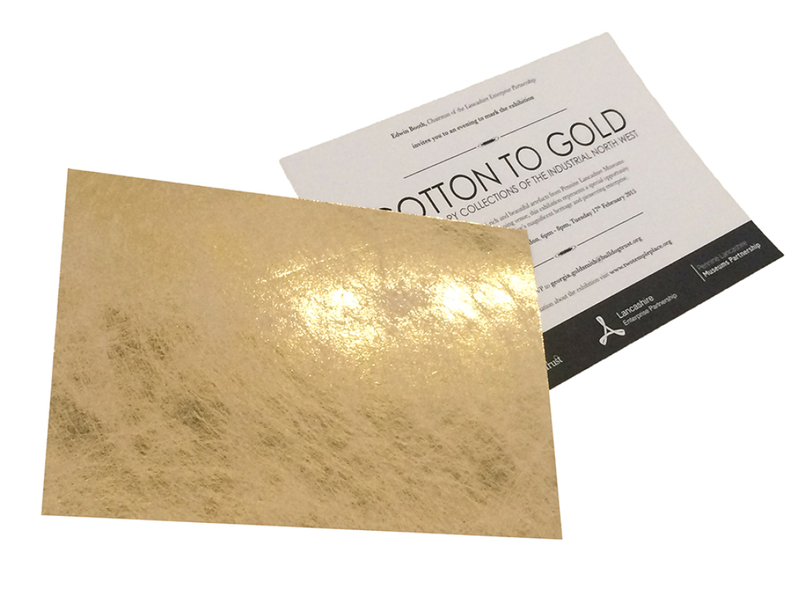 For the invitations to the launch event we sourced specialist paper with twisted fibres and gold foil finish to create an eye catching and memorable design. 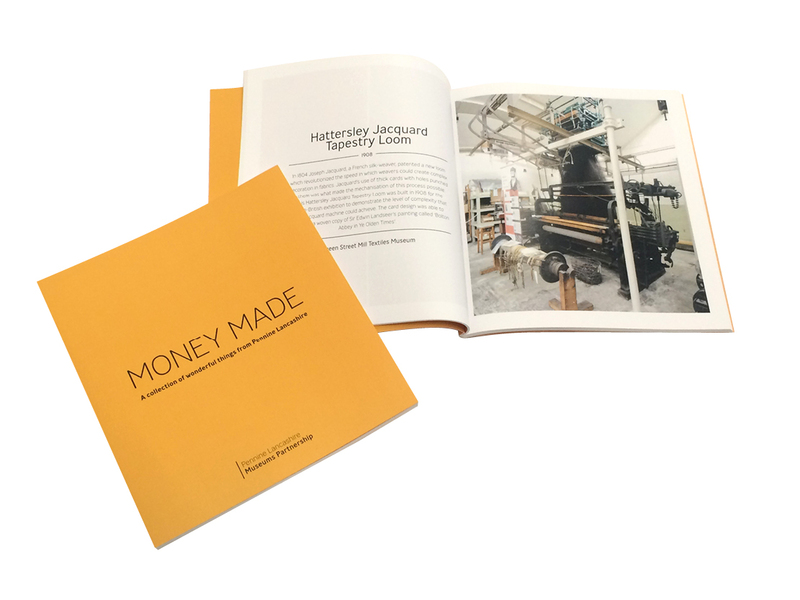 Money Made/Money Spent was a key message throughout the brand, it linked the industrial past of the region, the wealth it created and the vast collection that was amassed. 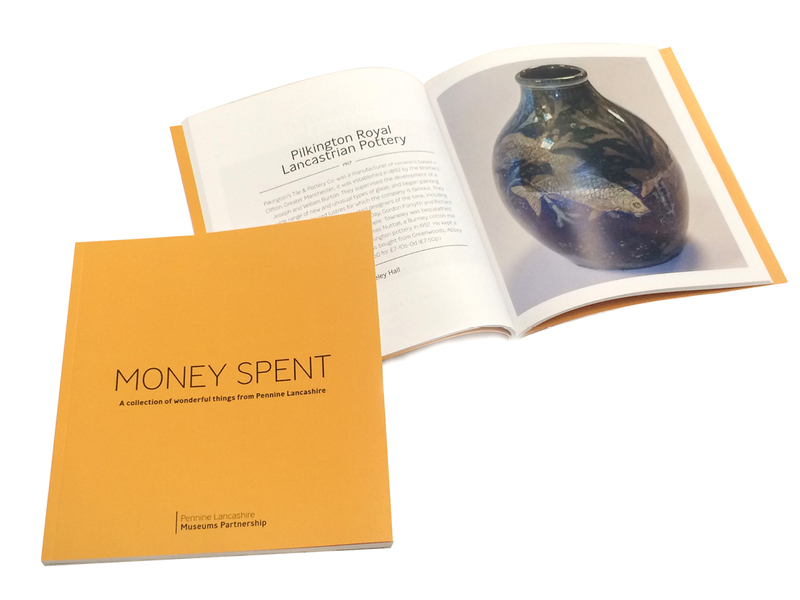 This concept served as the title of the collection book. 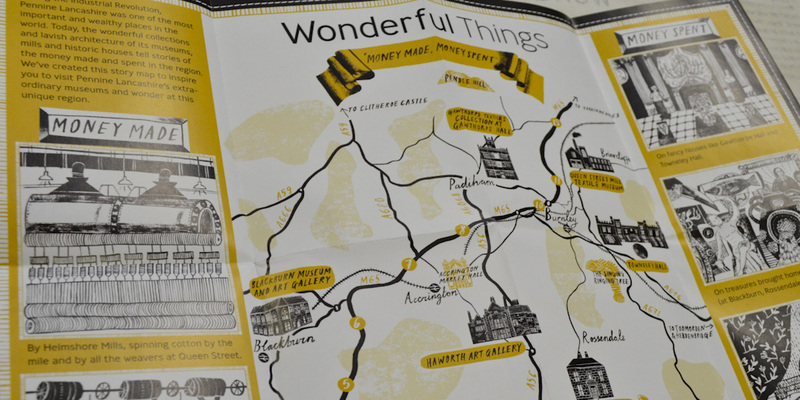 Each venue selected five items from their collections to be featured. 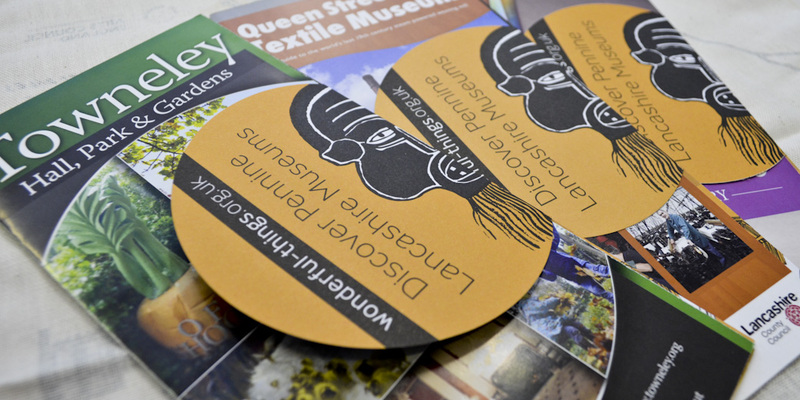 These were separated into the two categories which formed the basis of the dual-fronted publication, with an uncluttered layout which focussed on the objects. 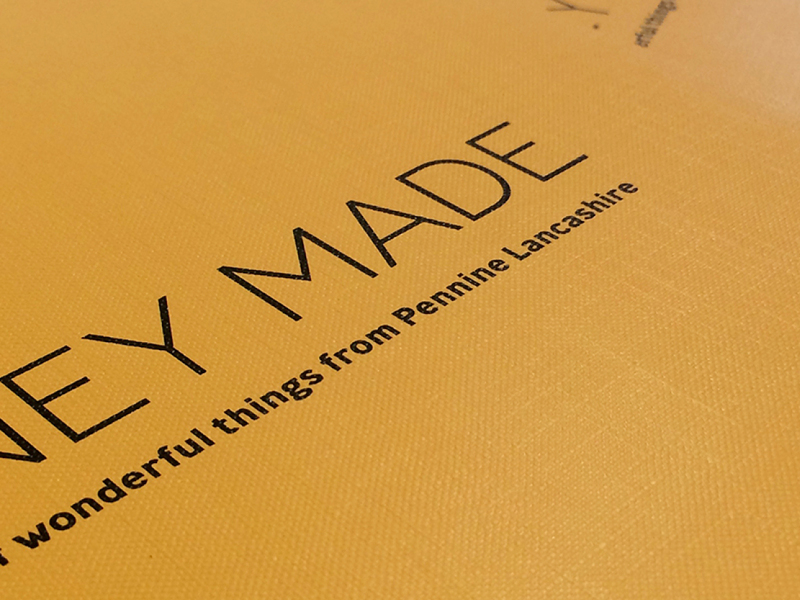 For the cover we used a technique called Texture Embossing to create a woven effect.